Balzac Billy Predicts Six More Weeks of Winter! Don’t take your parkas off and put your shovels away just yet! This past Thursday, February 2nd, 2017, Balzac Billy, our resident prognosticator, saw his shadow while emerging from his burrow at Blue Grass Garden Centre at 8:11am. 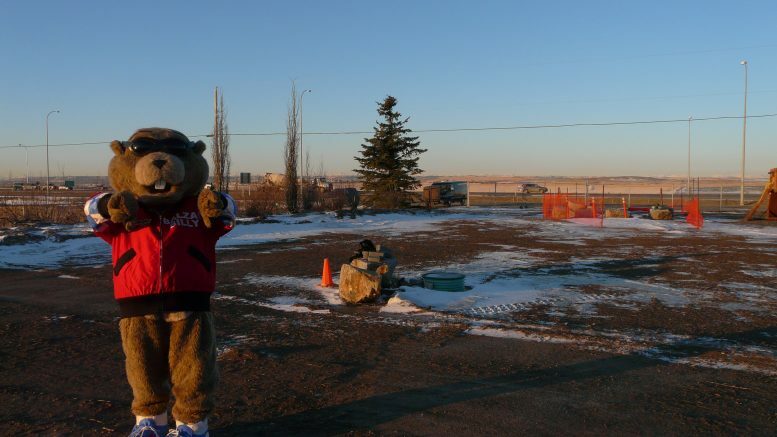 Despite freezing temperatures, the BBCA’s Annual Groundhog Day Breakfast was well attended by Balzac residents and local media.